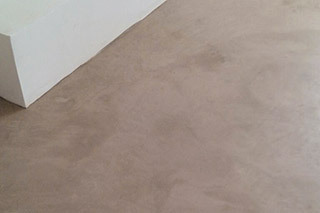 Stucco Italiano AquaGuard Floor Plaster is a 2-3mm thick cementitious overlay which creates a luxurious, natural, smooth finish with a mottled look, that matures over time. Stucco Italiano AquaGuard Floor Plaster is suitable for the residential market. The floors should be treated with care and good housekeeping is important. Stucco Italiano AquaGuard Floor Plaster has a compressive strength of 12-14 Mpa which is sufficient for normal traffic and normal use. 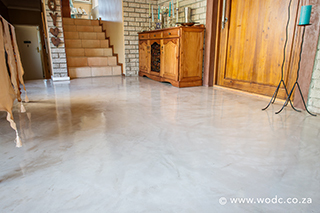 It is applied with a steel trowel onto concrete surfaces, cement screeds and can even be applied onto ceramic tiles. It is available in a wide range of colours. NOTE: Where imperfections occur on a floor, it is important to first apply Stucco Italiano Floor Repair Kit to smooth out the floor. 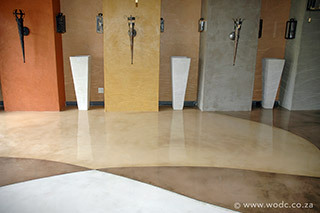 Stucco Italiano Aquaquard Floor Plaster alone, will not hide the imperfections. – This product should not be applied onto an unsound screed or loose tiles. 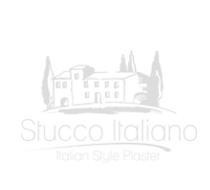 – This product will not hide STRUCTURAL cracks and movement. 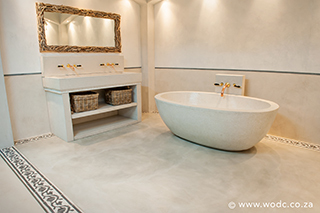 Stucco Italiano Solido Floor Plaster is a 2-3mm thick cementitious overlay which creates a luxurious, natural, smooth finish with a mottled look, that matures over time. Stucco Italiano Solido Floor Plaster is suitable for the residential market. The floors should be treated with care and good housekeeping is important. Stucco Italiano Solido Floor Plaster has a compressive strenght of 20-25 Mpa which is sufficient for normal traffic and normal use. It is applied with a steel trowel onto concrete surfaces, cement screeds and even onto ceramic tiles. It is available in a wide range of colours. NOTE: Where imperfections occur on a floor, it is important to first apply Stucco Italiano Floor Repair Kit to smooth out the floor. 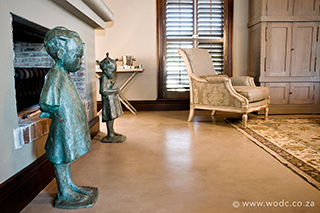 Stucco Italiano Solido Floor Plaster alone, will not hide the imperfections. Stucco Italiano Cementitious Selfleveling creates a luxurious, natural, smooth finish with a mottled look. This product can be recommended as DIY. Applied with a steel trowel onto concrete surfaces, cement screeds and even onto tiles, it provides a tough, durable, selfleveling cement-based plaster, suitable for interior and exterior floors. It is available in a wide range of colours. NOTE: Where imperfections occur on a floor, it is important to first apply Stucco Italiano Floor Repair Kit to smooth out the floor. Stucco Italiano Cementitious Selfleveling alone, will not hide the imperfections. 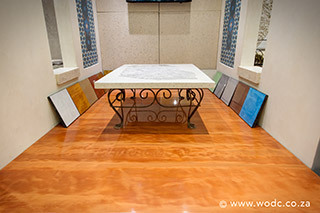 Stucco Delight is a unique, decorative and durable epoxy floor coating system, available in a variety of colours with a high gloss finish. 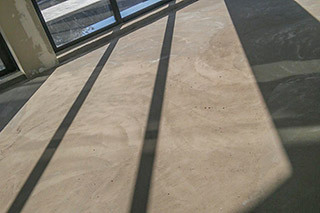 Stucco Delight is designed to be used on interior floors when a truly unique floor coating is desired and is popular for use in hotels, casinos, showrooms, salons, restaurants and for residential floors. Each floor is a piece of art, depending on the specific application technique that was used. Stucco Italiano Floor Repair Kit is a two component polymer modified cementitious product. The purpose of Stucco Italiano Floor Repair Kit is to level and smooth out uneven floors and to fill up floor cavities. It can also be used onto tiles. This product is ideal to be used with Stucco Italiano Stainers. 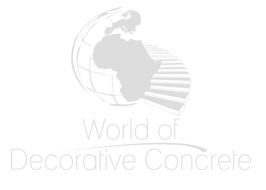 It is available in a natural cement grey colour. Stucco Italiano Floor Fixing Kit is a polymer modified cementitious product, which creates a luxurious, smooth finish with a natural feel and look. It is suitable for floor applications in domestic and commercial environments. Stucco Italiano Floor Fixing Kit is used to level and smooth out uneven floors and to fill up floor cavaties. It is available in a natural cement grey colour. Stucco Italiano Colour Hardener is a granolithic concrete material that strengthens and colours concrete floor surfaces and creates a luxurious, smooth finish with a mottled look. Porcelain cracking/Crazy cracking is a typical characteristic of this product. It has a compressive strenght of 25 Mpa which is suitable for the residential, commercial and light industrial market. It is available in a wide range of colours.